WSJ: Why Do So Many American Politicians Support Israel? American attitudes toward Israel have been shaped far more by debates among non-Jews than by the influence of Jewish organizations. The most important reason public officials support Israel is that the public does. In fact, approval is at a 17-year high, with 74% of adults reporting a favorable opinion. Public support for Israel is not a new phenomenon. Surveys conducted between 1947 and 1949 showed that nearly three times as many Americans sympathized with Jews over Arabs in the conflict in former Mandatory Palestine. American approval for Israel has deep historical roots in the Christian understanding of America. Leaders of Puritan New England predicted the demographic return and political revival of the Jewish people in the biblical promised land. In 1845, John Price Durbin, a Methodist who served as chaplain of the Senate and president of Dickinson College, insisted on "the undoubted fact of the restoration of a Jewish state in Palestine." In 1891, the evangelist William E. Blackstone presented a petition to President Benjamin Harrison calling for the establishment of a Jewish State in Ottoman Palestine. Americans who signed included Supreme Court Chief Justice Melville Fuller, future president William McKinley, titans of industry and finance like John D. Rockefeller and J.P. Morgan, and the editors of dozens of major newspapers. Israel should be challenged and scrutinized in the same way as any other country. Yet other countries, no matter how they came into being or how they behave, do not have their legitimacy or right to exist questioned or their outright destruction called for. Anti-Zionism should not be conflated with mere criticism of Israeli policy. Anti-Zionism rejects the very idea of a Jewish state. Zionism is the belief in the right to self-determination of the Jewish people (a right guaranteed to them by international law) in their historical and spiritual homeland, Israel. It acknowledges the Jewish people as indigenous to the land and Israel as the nation state of the Jewish people, although all citizens, including Israel's 20% Arab population, have equal civil rights. For most Jews, Zionism is core to their identity. Had a Jewish homeland been set up anywhere else, for example in Uganda, then the accusation of colonialism would have legitimacy. But in the Land of Israel, where Jewish people are the Tangata Whenua - a Maori term that means "people of the land" - accusations of colonialism are made to delegitimize the Jewish presence in their ancestral homeland. Anti-Zionism has become the new form of anti-Semitism. The state of the Jews has become the Jew of the states. Yet Zionism is not just an idea but a reality whose elimination would mean 6.5 million Jews facing the prospect of ethnic cleansing and a return to homelessness. Although her fellow Democrats denounced her, their reaction has been wholly inadequate. A statement signed by Speaker Nancy Pelosi and other leading Democrats called on Omar to apologise for her “hurtful” comments. No apology can ever expunge the evil of antisemitism. For this doesn’t merely cause hurt or offence: it directly adds to the demonic discourse that continues to make Jews both within and outside of Israel the target of murderous hatred. Requiring an apology is to help the antisemite get herself off the hook with a mere slap on the wrist. This is an individual who clearly believes that Jews are a manipulative force controlling the world. And yet certain liberal Jews want to “move forward” now that she has “apologised” – and even to open up a dialogue with her. Please join me here in discussion with Avi Abelow of Israel Unwired about the latest goings-on in our crazy world. We were talking about the remarks by an official from Human Rights Watch who was peddling conspiracy theory and antisemitism, and the enduring nature of “Jewish conspiracy” theory. We discussed whether Israel’s prime minister Benjamin Netanyahu was making deals with political “devils” through his alliances with sundry nationalists, populists, autocrats and worse. We talked about the great controversy that has boiled up in America over an apparent slide from abortion to infanticide. And we mused over how revolutions always eat their own. In this week's Spectator Books, Sam is joined by Deborah Lipstadt -- the historian who herself made a piece of history when she defeated the Holocaust denier David Irving in court. In her new book Antisemitism Now, Professor Lipstadt returns to the fray to look at the worldwide uptick of antisemitism in our own day and age. Sam asks her why she felt the need to write this book and frame it in the way she did, how antisemitism differs from other forms of prejudice, and what you can and can't say about Israel. Early in the 2020 presidential race, an ever-growing field of Democratic hopefuls has begun to reflect a leftward shift in the party, competing for progressive voters on healthcare, immigration and taxes. But has that turn left affected the Democrats’ long-standing consensus on Israel? An early survey of those running for their party’s nomination suggests not. For the most part, declared candidates have aligned themselves with conventional Israel policy views – opposed to the Boycott, Divestment and Sanctions movement, in favor of robust military aid and cooperation and supportive of a two-state solution to Israel’s conflict with the Palestinians. While they do not shy away from criticism of the Israeli government, their positions stand in contrast to an increasingly vocal wing of the party in favor of the boycott movement, opposed to aid and supportive of a one-state solution that would fundamentally undercut the project of Israel as a Jewish state. No Democratic candidate thus far holds any of these far-left views. Booker has repeatedly voted for Israel aid and also supports federal legislation that pushes back against the BDS movement – a position that took some time for Booker to reach, and to the Right of most of the field. The New Jersey senator has deep ties to the Jewish community, including a long-standing personal relationship with Shmuley Boteach, a prominent rabbi with conservative policy views on the Jewish state. The two engaged in heated debates ahead of a critical vote on the Iran nuclear deal in 2015, and, to Boteach’s dismay, Booker ultimately chose to support the agreement. Glick pointed out that the vast majority of Palestinians, in Areas A and B, have not lived under Israel military law since 1996, and she opposes the idea that their future is Israel’s responsibility. She has been a strong supporter of Trump, but is concerned about what his upcoming peace plan could bring – in part because it could lead Netanyahu to leave the New Right out of his coalition, but more because of its broader possible implications. “It’s mystifying that [Trump administration officials] think there’s a deal to be made, when there so obviously isn’t one from the Palestinian perspective,” she said. “[Hamas has] done a lot of good for Palestinians"
Speakers at a recent event hosted by the Syracuse Peace Council, however, made statements contradictory to the group's stated mission. For example, at the off-campus forum titled, “Palestine Behind the Wall,” one speaker expressed support for Hamas, which the U.S. State Department designated as a "foreign terrorist organization" in 1997. For Germans, demonizing America is a handy way of dealing with—or, rather, not dealing with—their own history. In 2014, Eric T. Hansen, an American freelance writer based in Berlin, . . . observed that anti-Americanism is not only “socially acceptable in Germany,” but it’s “downright politically incorrect to miss an opportunity” to put America down. He offered a theory: while the loss of World War II had rendered anti-Semitism verboten, “the resulting vacuum was soon filled by anti-Americanism.” I’m not going to argue with that. How, in Grau’s view, does World War II play into this? West Germans knew America had saved them from Soviet conquest, and were (at first) thankful. But that gratitude eventually curdled into an “anti-American neurosis” that led them, in later years, to express “solidarity with the most obnoxious autocrats in the world,” from Saddam Hussein to Bashar al-Assad, simply because they were America’s enemies. Many Westerners seem to believe that oppressed Muslim, Hindu, or Sikh women are by definition, frightened, submissive, peaceful, and quiet. Is this true of face-masked or hijab-wearing women who purposely stand right next to other women at prayer and who blow them and their young children right up? How quiet were the young women in hijab who refused to allow Nonie Darwish to speak at Wellesley by repeatedly coughing loudly, then getting up, one by one, to leave their row and the room, only to return to continue their demonstration? How peaceful are those mothers and mothers-in-law who beat and humiliate their daughters and daughters-in-law daily, who death threaten them when they refuse to veil, marry an odious first cousin, marry out of caste, make friends with infidels, or venture beyond their own communities? Memoirs that are painful to read confirm the extraordinary cruelty of mothers and older female relatives who preside over their daughters’ FGM procedure and/or who refuse to allow surgery to correct for deadly infections. I wonder where Representative Ilhan Omar stands on the issue of FGM given that she is a Somali-American and the practice is pandemic among Somalis. Has anyone asked her about this? Well, I am doing so here. Yes, I am talking about Representative Omar, among others who are perhaps, unexpectedly, and extremely angry, even aggressive. Were she to behave this way at home or in a mosque—God knows what might happen to her. In recent years, Jews have increasingly found themselves at the center of political debates in America and Britain, often in relation to Israel and Jews’ connections to Israel. While criticism of Israel and advocacy for Israel is not inherently antisemitic, much of it departs from the realm of fair comment and crosses the boundary into antisemitism. But, when this is pointed out, Jews are often accused of ‘playing the antisemitism card’. This makes light of bigotry, and undermines the ability to separate between legitimate criticism and illegitimate smears. In the absence of a single universally accepted definition of antisemitism, perhaps this list of things to remember will help people who want to fairly criticize Israel without falling into antisemitic canards or tropes. Israel is not a theoretical model; there are real people involved. Many of us desperately want peace and security. Whatever we say or believe, our human rights are not conditional. We aren’t an abstract idea, don’t suggest putting thousands or millions of real lives at risk. Jews have a wide range of opinions, and many Jews around the world aren’t really aware of what’s going on in Israel. If individual or Catholics in general shouldn’t be attacked for the actions or positions of the Vatican, and if most people agree that Muslims should not held responsible for terrorism, then Jews should not be conflated with Israel. Don’t blame “Jews” for Israeli policies you don’t like. Vague assertions of Israeli control or evildoing echo centuries of vague assertions of Jewish control and mendaciousness. Both are smears, putting Jews and Israelis on the defensive against pernicious claims that are hard to pin down. If you want to honestly criticize Israel, do so by addressing specific issues and acts. Is Tharwat seriously suggesting that this antisemitic trope is limited to the West? While The Protocols of the Elders of Zion may have not have been written in the Arab and Muslim world, it has been imported, translated, and spread there — and has become accepted by tens of millions. So much offensive nonsense in one paragraph. 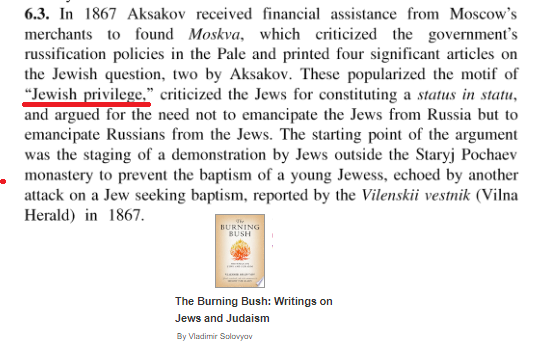 The term antisemitism does not refer to a hatred of people from a linguistic branch (Semites), but was coined specifically to refer to Jews and only Jews. To attempt to redefine the term is to attempt to diminish it and excuse hatred of Jews by Arabs. Claiming that Arabs and Muslims are “indirect victims of the Holocaust” is an appalling form of revisionism, and diminishes the very real victims of that crime against humanity. Claiming that the Holocaust was responsible for the establishment of the Jewish state “beheading the nation of Palestine” is a blatant attempt to deny Jewish historical rights in the Middle East, and to falsely present Israel as the product of European “colonization” at the expense of indigenous natives. After The Forward, a leftist site that covers Jewish issues, issued a fundraising statement touting its coverage of anti-Semitism in the wake of Minnesota Rep. Ilhan Omar’s anti-Semitic statements, leftist icon, Women’s March leader, and famed lover of the Jewish people Linda Sarsour decided to tell Jews exactly which Jewish organizations met her standards and thus were the best organizations to support. Why Jews should listen to Sarsour remains a mystery; her history is redolent with anti-Israel and anti-Semitic behavior, as has been amply documented. Where should we begin? Let’s start in 2012, when Sarsour tweeted, “Nothing is creepier than Zionism." Translation: If you are black, Arab or Muslim, you can attack Jews and still be considered the victim. Sorry, white men. You don't have the POC exemption. You'll have to fall back on claiming to be only "anti-Zionist." A top contributor to Rep. Ilhan Omar (D., Minn.) helped sponsor a "No War On Iran" campaign, which featured calls for Israel to give up its nuclear weapons. Omar, who recently was condemned by Democratic leadership in the House for anti-Semitic comments on Twitter and forced to apologize, has received $6,000 from Home Creations, a homebuilder in Oklahoma. The company was Omar's sixth highest contributor, behind liberal groups MoveOn.org, SEIU, and Emily's List, among others. Omar's office did not respond to request for comment about the donations. Jalal and Mohammad Farzaneh, brothers and natives of Iran, founded Home Creations in 1981. They have contributed heavily to Democrats over the past two decades. Jalal Farzaneh recently shared articles defending Omar on social media for "telling the truth about the Israel lobby." Jalal Farzaneh appeared as a member of the group "Americans Against the Next War" in a 2012 campaign asking the Oklahoma City area to call congress to "resist calls for war on Iran." The group put up three billboards that read, "Tell Congress, NO WAR ON IRAN." At an event announcing the campaign, Farzaneh argued there was no evidence Iran was building nuclear weapons. 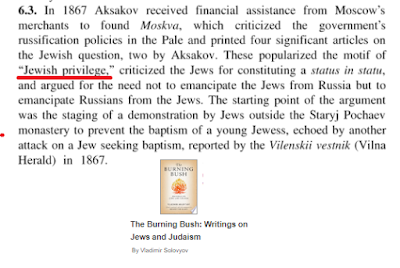 Yisrael Medad: A Historical Note On That Accusation of "Privilege"
NGO Monitor: Episode 13: Hen Mazzig: What makes BDS activists tick? “…the Israel Defense Forces (IDF) carried out what it called a wide-scale attack against military targets belonging to the Hamas and Islamic Jihad groups. A report published by the Israeli Security Agency on February 13th clarifies the background to that quoted IDF statement concerning the strike on the Al Aqsa TV building. “The Shin Bet security service on Wednesday accused the Palestinian Al-Aqsa broadcaster and Gaza-based journalists of acting as agents of the Hamas terror group’s military wing in an effort to recruit young Palestinians with Israeli ID cards to carry out terror attacks inside Israel. Thousands of Croatians have signed a petition blasting the Education Ministry for dropping The Diary of Anne Frank from the school curriculum. The petition’s description states that The Diary of Anne Frank has “disappeared from the list of textbooks [and] we do not know why. “We know that this work is extremely important in understanding how far human evil can develop in a dark time. We believe that the Holocaust is not an issue that can be skipped,” the petition says, calling for it to be re-instituted and reinstated into the curriculum. Education Minister Blazenka Divjak responded to the outcry in a statement on Facebook adding that she would "accept the criticism" about the issue and would send out a questionnaire to teachers in elementary and secondary schools asking their thoughts on recommendations for required reading materials. The Fourth Annual March of Life conference is set to take place between February 15-17 in Tuebingen, with friends and supporters of the March of Life movement attending the conference, which runs under the slogan "Living Memory - Reconciled into the Future - An audible voice against Antisemitism." The March of Life was founded in 2007 by Jobst and Charlotte Bittner, bringing together Jews and Holocaust survivors with descendants of Nazi perpetrators to fight antisemitism and express support for the State of Israel. “For ten years, March of Life has enabled and motivated tens of thousands of people around the world to be an effective voice against antisemitism and Jew hatred through their personal confrontation with the Shoah and by working through their own family histories," Jobst Bittner said. "New nations and cities are added every year, making the March of Life a dynamic, growing movement - and yet we are only at the beginning,” he added. Since its inception, the march has taken place in 22 nations and more than 400 cities in partnership with Christians and Jews from around the world. Ilan Halimi, the French-Jewish youth who was murdered at age 23 in Paris by a gang who believed 'all Jews have money' in 1996, was remembered on Wednesday when an award named after him was given to French high school students. Halimi's mother, Ruth Halimi, expressed her hope that the award will "give hope to France." The Dijon High School students took on extra courses that focused on genocides in the 20th Century and Holocaust denial. After immersing themselves in these issues, they jointly created a series of lectures aimed at students under the headline "Understanding yesterday to comprehend today." The students won after being pitted against 70 other groups around the French Republic. They were awarded the Ilan Halimi award by French Prime Minister Édouard Philippe. Honoring Halimi, the national award is presented on behalf of DILCRAH, a special joint-office of the French government that combats all forms of hate crimes, from antisemitism to racism and LGBT discrimination. The Defense Ministry announced Thursday it will purchase seven training helicopters from an Italian defense contractor in a multi-billion-dollar deal that will see Rome buy an equivalent value of Israeli military technology. Hebrew media reports estimated the deal to be worth $350 million and include 20 years of aircraft maintenance from Italian contractor Leonardo. The Italian-made AW-119 training helicopters, known in Israel as Sayfan, will replace the Israeli Air Force’s current Bell 206 training aircraft, which it bought in 1970. The two countries reached a similar reciprocal procurement deal for trainer jets in 2012, when Israel purchased three Aermacchi M-346 jets manufactured by Leonardo for $1 billion. Rome, in exchange, purchased an equivalent value of Israeli aerospace technology, including satellites and surveillance planes. U.S. Vice President Mike Pence paid homage Thursday to the suffering of the Jewish and Polish people under German occupation during World War II with visits to memorials honoring their suffering and heroism. The heavily symbolic visits to a city destroyed by Adolf Hitler's forces were gestures of friendship to two of America's closest allies, Israel and Poland. They came a day before Pence will make his first visit to Auschwitz, the memorial site where Nazi forces killed 1.1 million people, most of them Jews, in what was then occupied Poland. Pence first joined Prime Minister Benjamin Netanyahu and Polish Prime Minister Mateusz Morawiecki in honoring the wartime Jewish insurgents who rose up against Nazi German forces in the Warsaw Ghetto uprising of 1943. For the first time since 1976’s hostage crisis and subsequent Israeli commando raid, an Israeli plane carrying tourists landed Thursday at Uganda’s Entebbe Airport. Some 250 Israeli nationals came to the African country for a three-day visit, the East Africa Business Week website reported. They flew in on a Boeing 777, operated by El Al’s subsidiary Sun D’Or. The airport is now known as the Old Entebbe Airport, as opposed to Uganda’s main Entebbe International Airport. “On July 5, 1976, I was 10, and like all the Israelis I woke up in the morning and heard about the daring operation that was carried out in Entebbe to free the hostages,” flight captain Itzik Gerber told Channel 12 news. “If an angel came and whispered in my ear that 13 years later I would fly planes that participated in the operation and that 42 years later I would land at Entebbe as a captain, I would have laughed out loud,” he said, referring to his military service prior to flying planes for Israel’s national carrier.